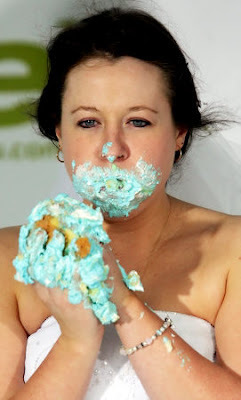 13 Above: Bridezilla Cake Contest ! Every woman wish to dress up in their gowns with perfect looking to have an unforgotten memory in the future. 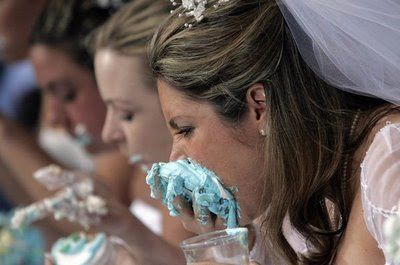 Here 15 womans dress up in their gowns and eat cake, they make their face full of cream and don't bother it. What happen with them? Lets check it out! 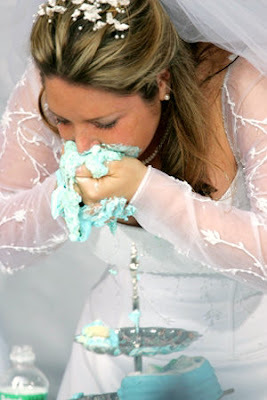 Well, actually they are during Bridezillas Cake-Eating Contest in Times Square in a bid to win $25,000 for a dream wedding. The WE television network and WPLJ radio selected 15 fiancées from the metro area to compete in the contest celebrating the fourth season of "Bridezillas". 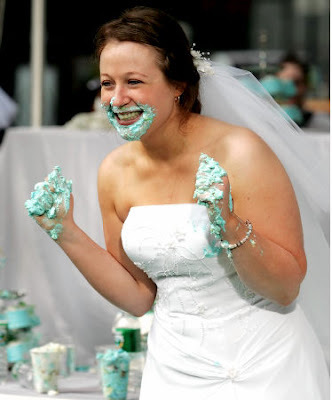 The women donned dresses from David's Bridal and were given 2 minutes to eat 15 minicakes. 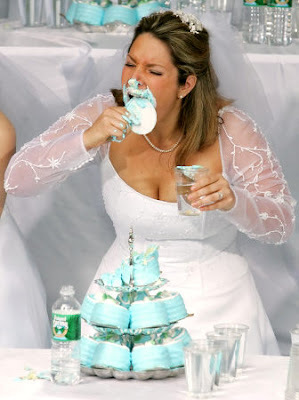 Long Island's Stephanie Florio scarfed down nine cakes for the grand prize. No matter who won in the contest, they definitely remember this unforgotten experience with their pretty gowns.